I have so many beautiful pictures to add so keep checking back as this will take some time to add them all. 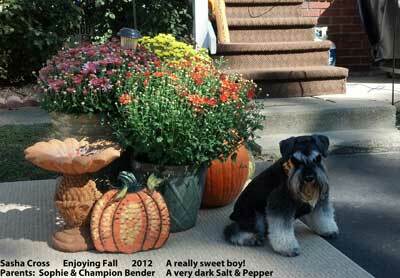 This talented boy is owned by Linda of Columbus, OH. She has done a beautiful job in training and showing one of our babies. 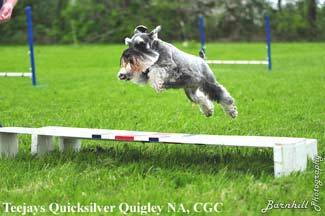 Quigs is currently being shown in Agility. What a great sport for the family to become involved in. A special thanks to the phographer, Jeremy of Barnhill Photography. 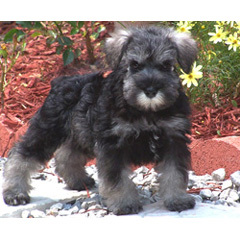 This is Quigley when he was just three months old. He was a calm but playful little guy back then and listened really well. 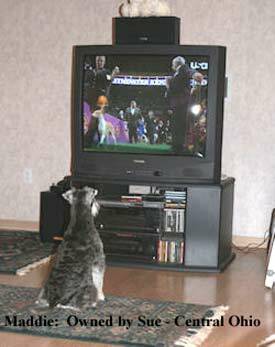 Yes, you are seeing correctly that she is actually watching the Westminster Dog Show. Maddie knows that she's good enough to be in that show - even if it's just in her heart! Sue waited a year as I suggested to get a second baby from us and Maddie now shares her home with Molly. These babies are so spoiled and loved! 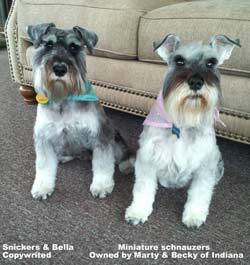 These two are owned by Marty and Becky of Indiana. Bella is spoiled by Marty and is a Shadow puppy. Snickers is now retired and is spoiled by Becky. It is so hard to retire my girls but I know that Snickers is well taken care of! 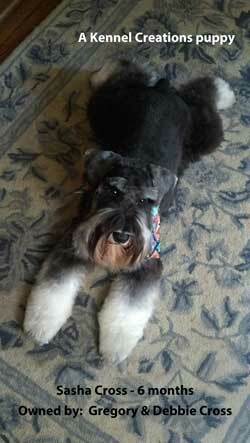 Their new groomer is doing a great job on their haircuts and I love the bandanas. They both look very happy and have wonderful homes!! 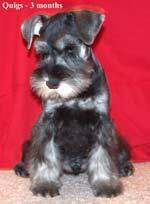 Kathy waited until Casey (the bigger guy) was all grown up and completely trained, as I recommended, to get a buddy for him. 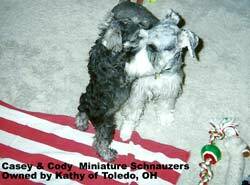 Cody is the new little guy telling his big brother all the latest news from Kennel Creations! These two boys are very much loved by Kathy who is spoiling them rotten! Well, that's what they're for but make them behave! 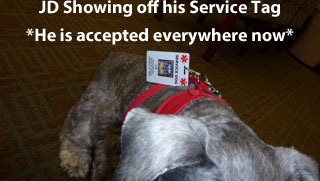 JD - The Service Dog!! 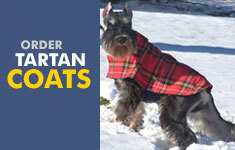 JD is one of our boys that likes to strut his stuff and knows that he's special. 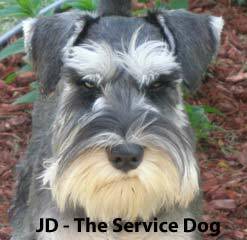 JD has completed his Service Dog training and certification just recently. JD spends his time visiting and making everyone smile. This beautiful boy just loves to pose of pictures. He's quite the ham! Today is my birthday, and although we got Sasha in February, he is the BEST birthday present ever and we don’t know what we did without him!